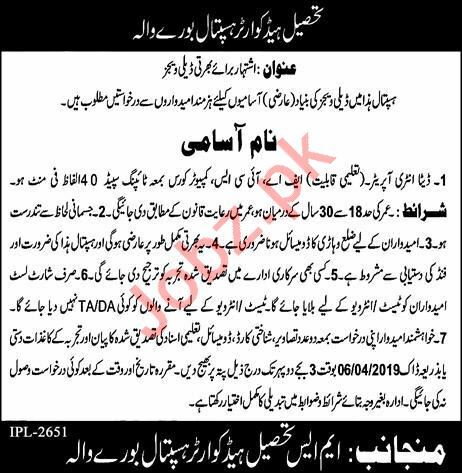 Tehsile Headquarter Hospital THQ is looking for highly experienced candidates for the posts of Data Entry Operator in Burewala. Candidates must have at least FA or ICS Degree with typing speed of 40 words per minutes. Interested candidates can contact on given details for more information. You can apply online at vacancy after registering at http://www.jobz.pk site.